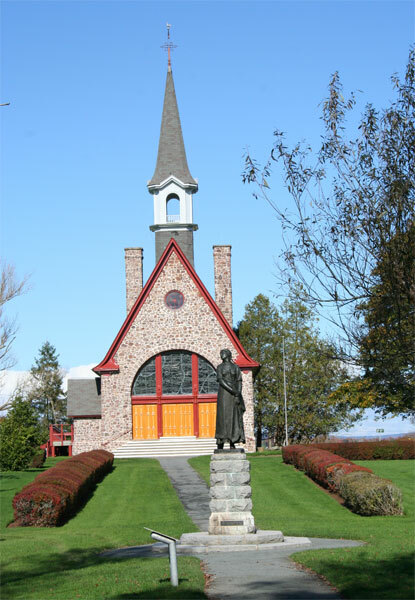 On our week-end at Grand Pre we visited the Grand Pre National Heritage site. The building was closed for the season, but we could learn about the history from the grounds and information boards. 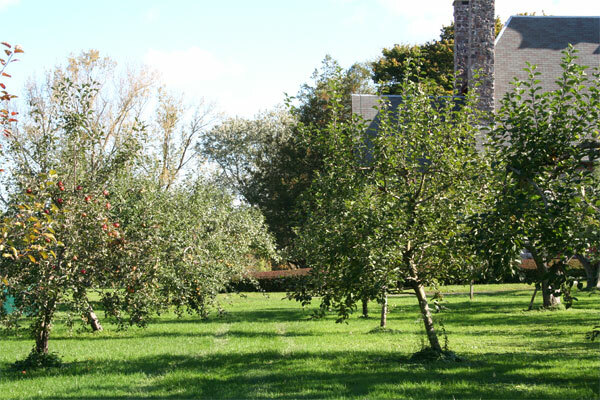 At the back of the buildings is a lovely orchard with various types of apples. 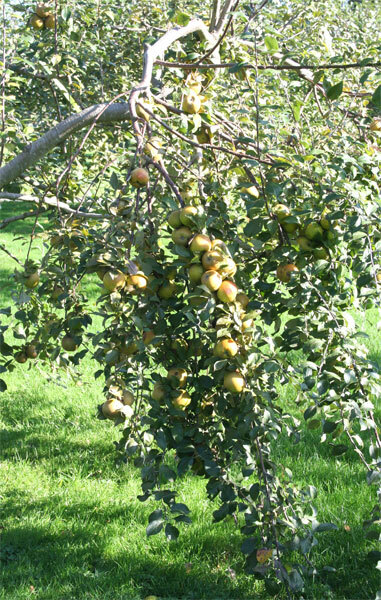 These russets were large and blemish free. 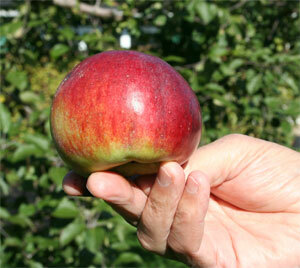 This huge red apple had pure white flesh. 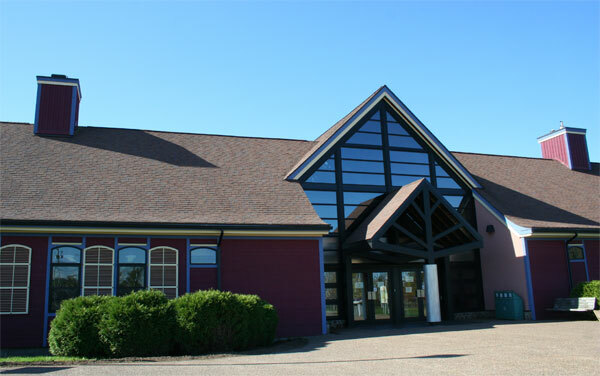 The Grand Pre Historic Site tells the story of the expulsion of the French-speaking, Acadian people of Nova Scotia during a conflict between France and England called The Seven Years War. Acadian families, who had been living in Canada for almost 100 years, were forced onto transport ships to be dumped up and down the eastern seaboard. 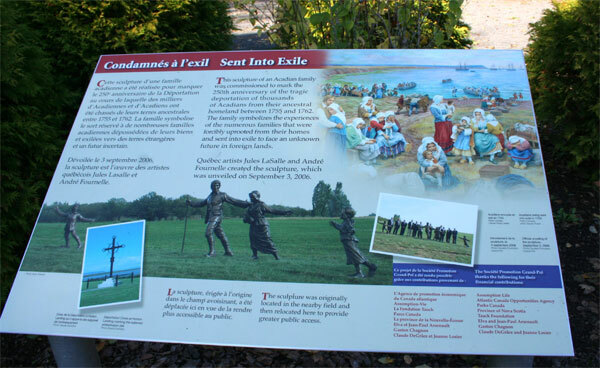 More than 6,000 Acadians were deported, from all of mainland Nova Scotia and New Brunswick and their villages burned to the ground. 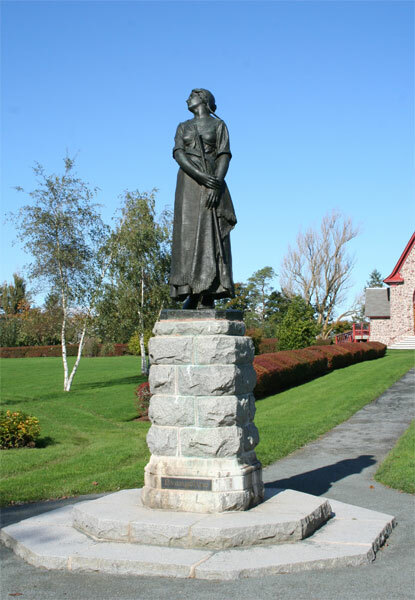 The Acadian expulsion was concentrated in the rich Annapolis Valley region and Grand Pre is the central remembrance centre. The Memorial Church tells its story. The stained-glass window shows the burning farms and misery of the Acadian farmers – not very visible from the outside. A story board tells the story of the deportations. 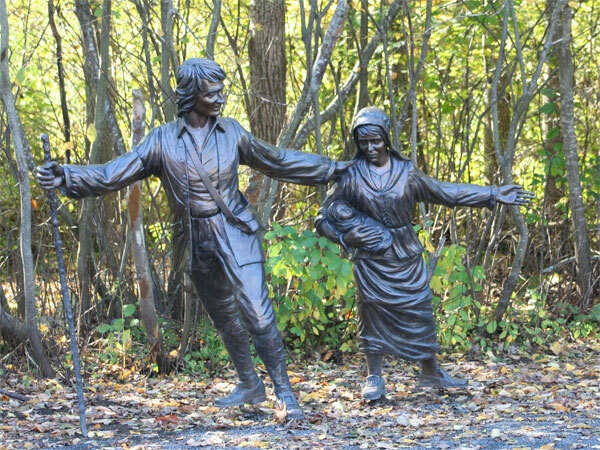 Bronze statues remember the families banished from their new homeland. Henry Wadworth Longfellow in his 1847 poem Evangeline, wrote. Darkened by shadows of earth, but reflecting an image of heaven ? Waste are those pleasant farms, and the farmers forever departed ! This was the sad story of a young, engaged Acadian couple who were forced apart before their wedding and only got together as old people when the groom was on his death bed. 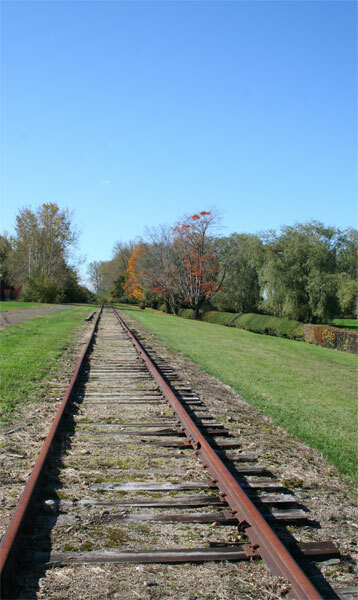 The Dominion Atlantic Railway line which was built in 1894 and which connected the Annapolis Valley to Halifax, lies silent now. 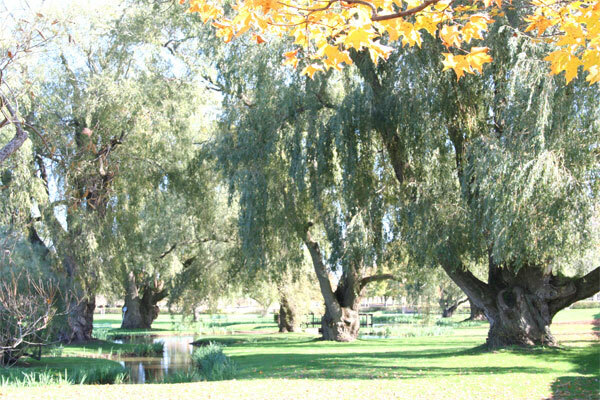 But these massive willow trees are seemingly offshoots of the original trees the French planted here in Grand Pre in the 1700’s. It is a sad story of how a race of people were removed from the land they loved, because of war, religion, race ….. It reminded me of how the Scots were evicted from their homes in the Highlands to make room for sheep, during the Highland Clearances. History has a strange habit of repeating itself. Man just cannot learn to live with his fellow human beings. Hi Jackie, what a wonderful post. You didn’t miss a lot by not getting inside the display building. Thanks for your comment, Sybil. I hadn’t realised the extent of the expulsion until I visited Grad Pre. I am just going to read your Blog. Your pics were a welcome respite from the cold Canadian winter I’m currently “enjoying”! Thanks for commenting on my post. Where are you in canada?